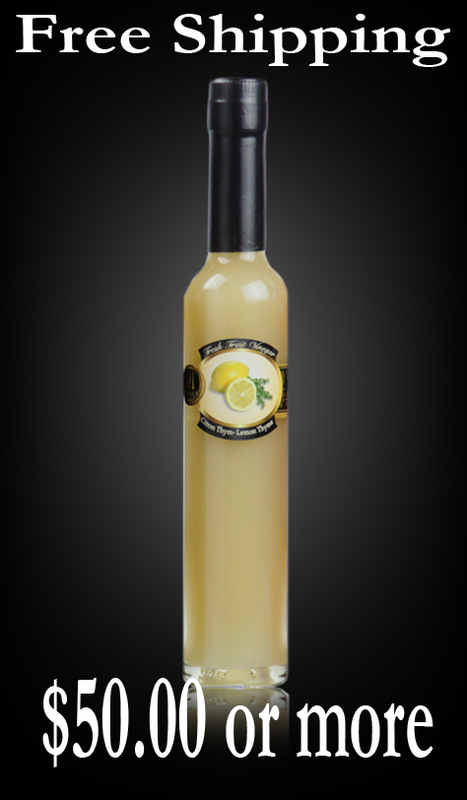 Our Lemon Thyme Vinegar is a perfect balance of sweet and tart. It is crisp and acidic in taste. Try it on roasted vegetables, in salad dressings and in marinades. 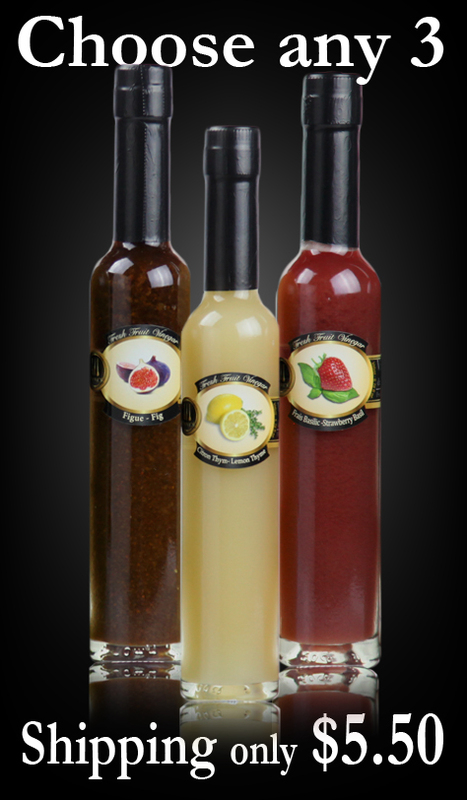 It also makes a terrific marinade for chicken, seafood and vegetables. Lemon Thyme Vinegar is a great compliment in creating great dishes. This vinegar carries that fresh summer flavor of Lemon Thyme with the added acidic punch of vinegar which kicks up any dish you add it to. Goat cheese with walnuts and raisins is just one of the great salads you could create with this vinegar. Check out our "Recipes" tab for more great ideas for this vinegar. 1. Lemon is a well-known home remedy to clear up skin rashes, sinus congestion and more. 3. Mix 1 tablespoon of Lemon Thyme vinegar, 1 teaspoon of honey and a cup of hot water and drink it before bed to get relief from Menstrual Cramps, Pulled muscle, foot leg Cramps. 4. Drink 1 teaspoon Lemon Thyme Vinegar mixed with your favorite tea with honey to treat Urinary Tract Infections. FABulous - Love these products! This one is my favorite.